I was glad to go to the Imperial War Museum in London today, exactly 100 years from our declaration of war. Very struck by the gallery of paintings, and especially this one by C R W Nevison. It was titled, Paths of Glory in an ironic sense with sad, bloated, decaying corpses of two Tommies, lying neglected behind the lines. It was censored at the time and hence was not granted permission to be displayed (although the artist ignored the censor). 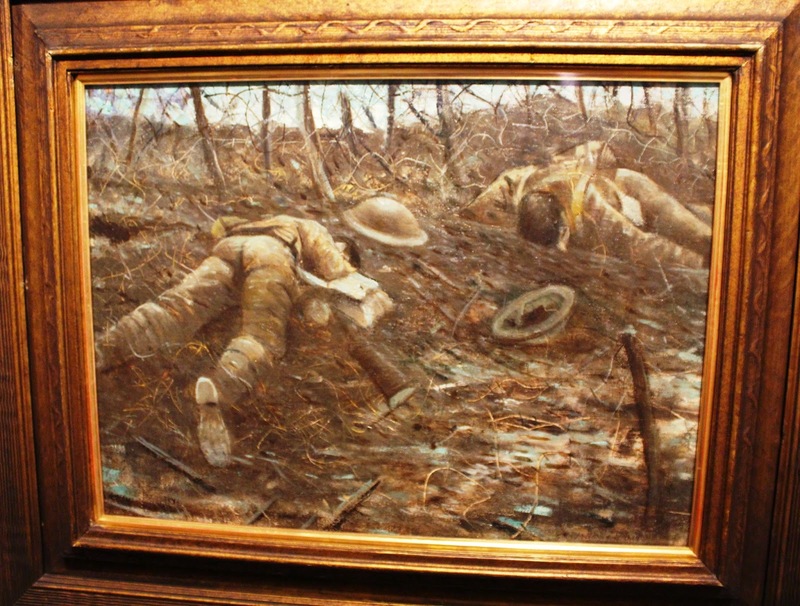 Interestingly the censor was quite happy to have images of dead German soldiers displayed. The pity of war indeed.